Nothing say "tropical" more that the monstera leaf. 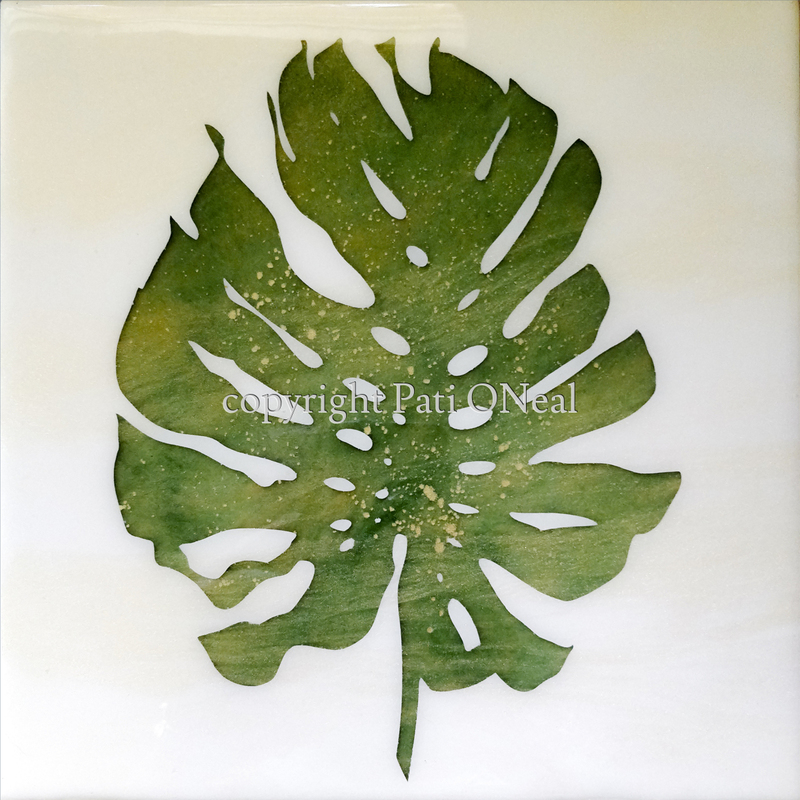 Companion pieces are "Lauae" and "Lobed Philodendron", which may be purchased as a set or individually. The final appearance is created through the application of multiple layers. This original work has been sold, for a similar commission contact the artist.